Materials: Cotton, ribbon and lace. Heavy cotton corset with twenty-six stays. It is laced at the back with heavy cord through twenty-six eyelets. 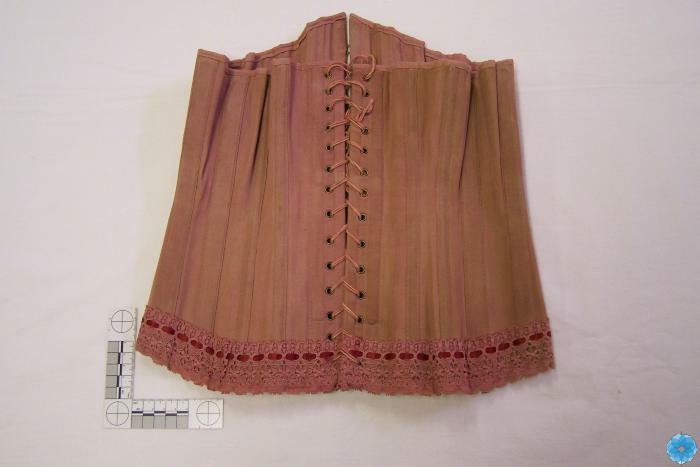 Lace is sewn on the top of corset with a ribbon. The front has five hooks.